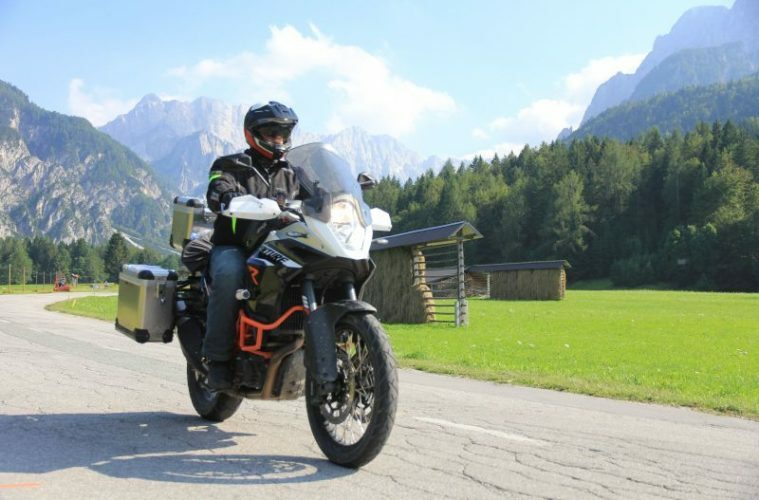 Nervous about handling your big adventure bike through traffic and in slow-speed situations? Glynn Garrad shares his advanced rider techniques on mastering slow control. “I want to improve my cornering” is something I hear a lot. But it seems seeing someone being able to ride slowly, controlled and with confidence impresses, so why not get some practice in and learn how to do it properly. Slow manoeuvring comes more naturally to some people than others, but it still needs practice. If you find it difficult then break it down into bite size pieces. Firstly slipping the clutch. Yes it does wear the clutch, but when done properly, not as much as you think and it can give you so much more control at low speed. 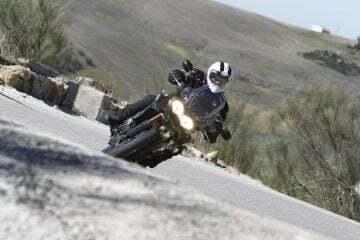 Try riding in first gear and bringing your speed down to walking pace, bring the clutch in so that you are able to maintain that speed and gently blip the throttle without any speed change. If you feel any speed change then bring the clutch in a fraction more. 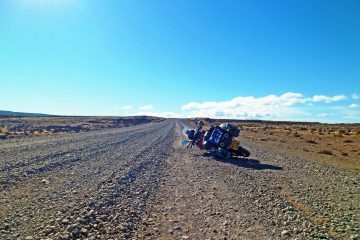 The idea is to have just enough drive to keep you going but not enough to upset the balance of the bike, that’s the balance from front to back. Next you could try experimenting with the steering. At low speed weight transfer will have a considerable effect on the bike. With the bike travelling at about walking pace gently press down on one of the foot rests and the bike will start to move in that direction, you will also notice the handle bars will turn, so let them, but control it. You can press down on the handlebars as well but it will need to be gentle until you get the hang of it. It is very tempting to tense up, keep your arms relaxed. So how do you control your speed? This is best done by gently using the back brake. Try not to go on and off the rear brake, find the biting point and hover around it. 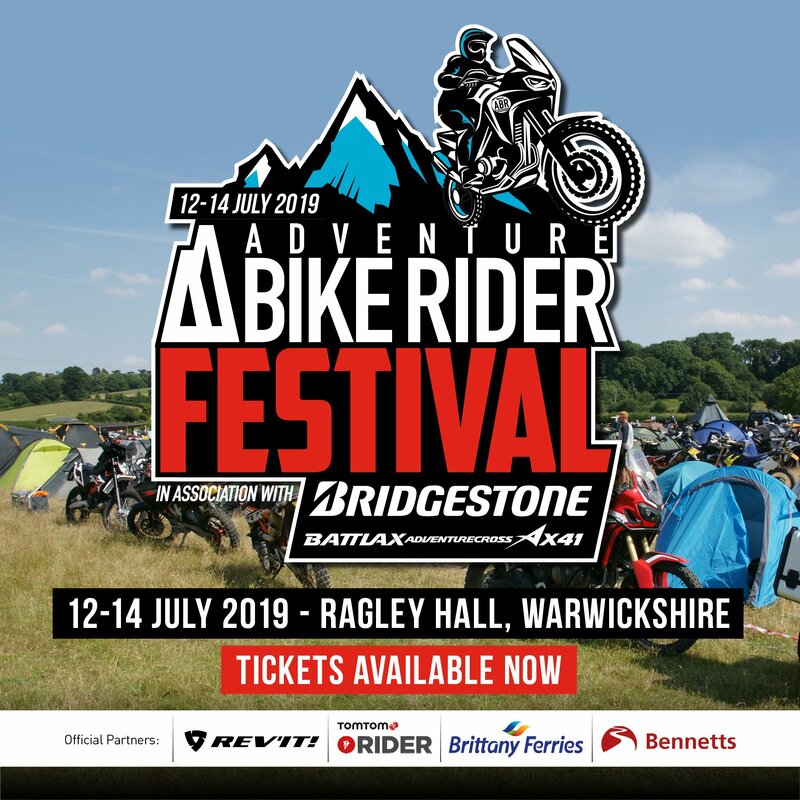 I wouldn’t advise the front brake as is can be difficult to apply smooth and gentle and it would mean that you have the back wheel driving and the front wheel slowing you down. This could affect your balance. Putting it all together. Set up the speed and clutch control before you get into the situation you are going to deal with. This way the bike is balanced before the manoeuvre. Plan where you are going. Sort out where you want to be and how to get there. Sounds obvious but it’s a common mistake. Look where you want to go, you’ve heard that before. Practice for a short period of time. Your clutch will get hot if you slog away for hours so keep it to five or ten minutes. Or pick simple manoeuvres such as on and off your driveway or finding a parking space. This advice is for riding on the road. 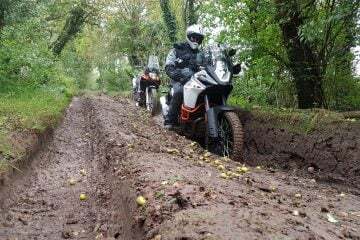 Use of the clutch and brake can be different off-road due to surface and whether you are going up or down hill. 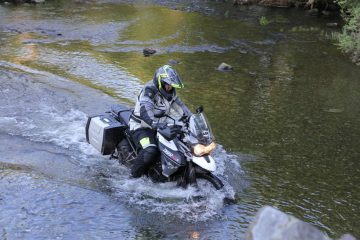 With a lot of adventure bikes getting bigger, (being short, I know this) it may be difficult to build up confidence. 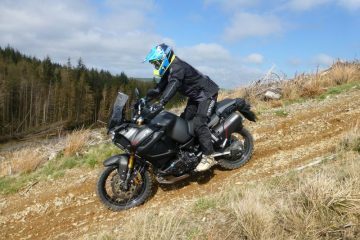 So why not get some help with your slow control and practice on a smaller bike like the KTM Freeride 250, BMW G310 GS or Kawasaki Versys-X 300.